A new take on “Full Metal Jacket”….! Before anything else, let me identify the above illustrations. Top left is, um, supposedly a 15th century back armour. Whoever wore it, male or female, was rather peculiar anatomically. 2nd top left is a Boccaccio Amazon Queen. 3rd top left is an illustration from the British Library, and top right is Queen Isabella with her lover, Roger Mortimer. Bottom left is Joan of Arc, and bottom right is Sophie Okonedo as Margaret of Anjou from “The Hollow Crown” series. Right, now to explain what links them all…in case you haven’t noticed all the armour! There is a very interesting article at http://www.womenyoushouldknow.net/surprising-truth-behind-armor-dress-whipped-facebook-page-frenzy/, featuring a very novel armour dress. The full thing, plentiful skirt to the ankles, the lot. Totally illogical, of course…at least, it would be if it were the real thing. As the article explains “…The dress is not an original object from the Renaissance, made of metal … it is made of plastic and represents the style of that time…” And as a conception, it’s daft – just imagine mounting your horse to go into battle! Looking at illustrations of warrior ladies from the past, it’s clear they only protected their upper half, with a sort of peplum below the waist. Below that, just the usual skirts, albeit probably in some thick, heavy material. But Joan of Arc seems wrong in the above illustration of her. Didn’t she always dress as a man/boy? As for the back armour at top left. Can’t be for the back, surely? I mean, who has bosoms at the back? No man I can think of, nor any women, come to that. Unless, of course, you know better…? ‘Oh! But he was a tight-fisted hand at the grindstone….a squeezing, wrenching, grasping, scraping, clutching, covetous, old sinner! 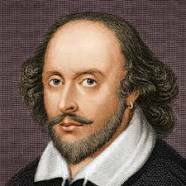 Hard and sharp as flint, from which no steel had ever struck out generous fire; secret, and self-contained, and solitary as an oyster. The cold within him froze his old features, nipped his pointed nose, shrivelled his cheek, stiffened his gait; made his eyes red, his thin lips blue, and spoke out shrewdly in his grating voice. A frosty rime was on his head, and on his eyebrows, and his wiry chin. He carried his own low temperature always about with him; he iced his office in the dog-days, and didn’t thaw it one degree at Christmas. A description of Henry Tudor, locked away in his counting house? This Christmas, though, if you are looking for a little spoof and parody set in the late 15thc, Henry takes the place of Dickens’ baddie in a humorous short story called DICKON’S TUDOR CHRISTMAS CAROL, written by Hesper Huffam. Waking from a sleep, Henry is confronted by an old friend…William Stanley,minus his head. 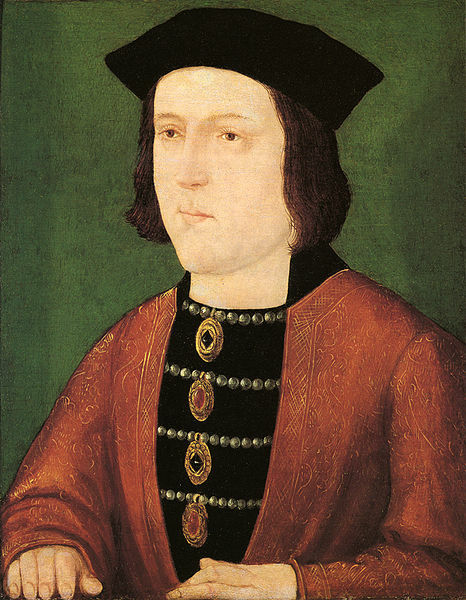 a series of other ghosts follow–Richard III as the Ghost of Christmas Past, annoyed at the blackening of his reputation; the recently executed Perkin Warbeck who confounds and confuses Henry; and the sinister LARGE ghost of Christmas Future, who shows him the unhappy results of his avarice and suspicion. Will Henry listen to the ghosts and change his ways? Will he get Elizabeth of York decent shoes and tell Morton where to stick his precious Fork? Will Mummy Beaufort be pacified..and what about Henry’s pet, Groat the Monkey? A bit of light harmless fun for a winter’s night in. This piece, “Christ Blessing”, as rediscovered recently in the Holy Trinity Church, Bradford-on-Avon, is by the Flemish artist Quentin Metsys the Elder (1466-1530), not his grandson (c.1543-89). How fortunate that it appears to have saved the church. Josephine Tey’s novel Brat Farrar is widely perceived as having been based on the Victorian Tichborne case where a well-upholstered Australia-based butcher’s son posed as the missing claimant to a baronetcy. Arthur Orton/ Castro persuaded Roger Tichborne’s mother that he was the heir to the title, but very few others and lost his court cases . 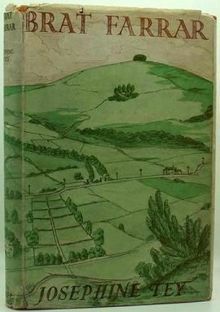 In a book serialised by BBC1 in 1986, in their classic “Sunday teatime literature slot”, Tey makes some of the Ashby family circumstances different and introduces an interesting psychological feature: Simon knows that Farrar cannot be his elder twin, Patrick, because … but we won’t spoil the ending for those who have not yet read it. This frequently occurs in great literature and Rattigan, for example, plays with the facts of George Archer-Shee’s postal order problems at Dartmouth Naval College in The Winslow Boy. Is Tey implying something more? We all know that she also wrote The Daughter of Time, in which she employs the device of a fictional mid-C20 policeman to explore the facts about the “Princes”. Is Brat Farrar, written two years earlier, a previous attempt at this objective. Is Patrick actually the younger “Prince” (or a combination of both) and is Simon his, or their, brother-in-law? It is more than sixty years too late to ask Tey but perhaps she wrote about it somewhere, privately. Edward IV’s first marriage probably took place in the Warwickshire estates of Lady Eleanor Talbot, his bride, on 8 June 1461 (1). However, this ceremony was not to become public knowledge until twenty-two years later, by which time both had died. 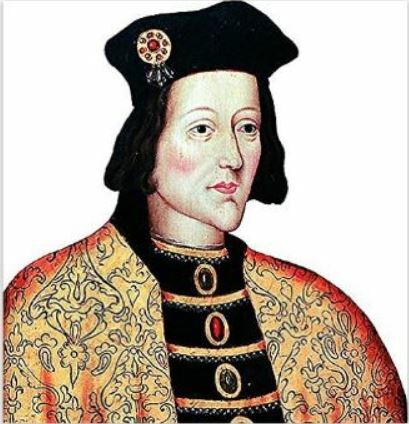 Indeed, Edward only revealed his change of status in September 1464, by then claiming to be (bigamously of course) married to Elizabeth Wydeville, when the Earl of Warwick made an effort to find him a foreign wife. Edward IV has unwittingly inspired several later prominent people, for privacy or image reasons, but I have chosen John Lennon to illustrate the point. He had a relationship with Cynthia Powell from about 1959 and she was his first wife from 1962-8. 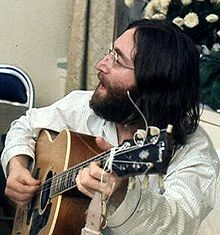 As many of the Beatles’ fans were young and female, Lennon and his colleagues were encouraged, by their manager Brian Epstein, to keep their relationships secret for several years. Note that his opening marriage took place almost exactly five centuries after Edward’s and ended at a similar point in the relevant century. (1) The Private Life of Edward IV, Ashdown-Hill, p.59. The Tower of London is holding an event of interest to Ricardians. Between December 27 and 31, you will be able to enter King Richard III’s court as it celebrates Christmas 1484. Court intrigue and plotting takes place amidst the pageantry, glorious costumes, and revels, all under the eye of the traditional Lord of Misrule. Events begin at 11 A.M. with the King’s Arrival, then progress to ‘Court and Conspiracy’ at 11:30 and 14:30, and ‘The Hunt’ at 1:30 and 15:30. It is nice to see Richard’s reign getting some recognition, although we do not yet know how fair a view the entertainment will take. It is too easy (or should that be lazy?) for someone au fait only with Shakespeare or bad documentaries to imagine that such a short time was spent in nothing but warfare and misery, with the Tower a sinister symbol (which it was generally not, being a royal palace, not just a place of imprisonment). Richard liked a good party!